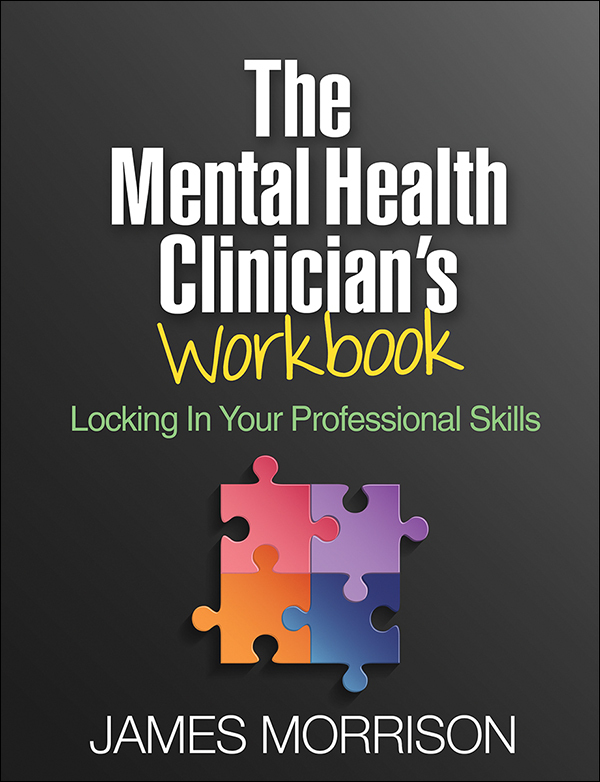 Rich with compelling case material, this hands-on workbook helps mental health practitioners and students build essential skills for clinical evaluation and differential diagnosis. 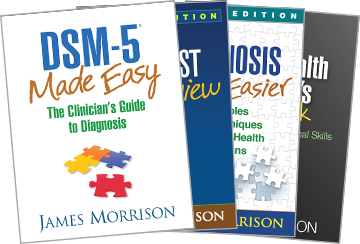 Renowned diagnostician and bestselling author James Morrison (DSM-5 Made Easy and other works) invites the reader to interview and evaluate 26 patients with a wide spectrum of presenting complaints and ultimate diagnoses. Using multiple-choice questions and fill-in-the-blank exercises, clinicians practice the arts of interviewing and making diagnostic decisions. The convenient large-size format facilitates use. Extensive tables in the appendix provide a quick-reference guide to the interviewing techniques, diagnostic principles, and clinical diagnoses discussed in each case. See also Morrison's DSM-5® Made Easy, which explains DSM-5 diagnoses in clear language, illustrated with vivid case vignettes; Diagnosis Made Easier, Second Edition, which offers principles and decision trees for integrating diagnostic information from multiple sources; and The First Interview, Fourth Edition, which presents a framework for conducting thorough, empathic initial evaluations.